In this week's flashback, help your little one let out their inner unicorn with our free unicorn headband template! Unicorns are still a huge trend at the moment - we're seeing them everywhere and on everything! 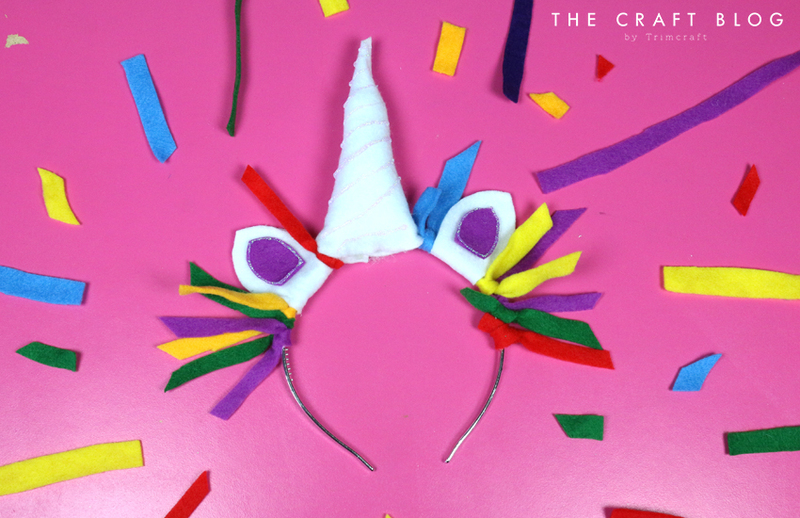 Today, we're showing you how you can bring a little unicorn magic into your crafting with this no-sew unicorn headband! Perfect for little ones, this is SO easy to create and it would make the ideal summer half term activity! Better yet, this project is no-sew so it won’t take their little fingers long to create this magical accessory. 1. Begin by cutting different coloured strips of Dovecraft Felt. And tying them on along your headband. 2. Download the free template and cut out the elements. Cut out the large ear template twice onto Dovecraft White Felt and the small ear template twice out of purple felt. Glue the purple felt on each piece of white felt. 3. Make space on your headband to glue the felt ears around the band, next to the ribbon strips. 4. 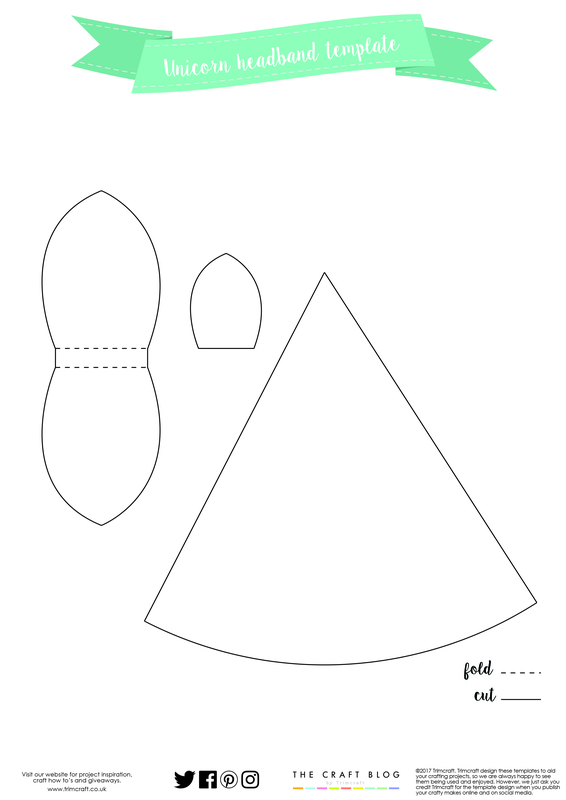 Cut out the triangular shape out of Dovecraft White Felt. Add a length of Dovecraft Perma Fix tape along one edge and roll the triangle together to create the unicorn horn. 5. Fill the unicorn horn with stuffing, use a pencil to push the stuffing through to the end. 6. Wrap the opening of the horn around the headband, in between the ears. Glue it shut to secure it. 7. Add lines of Dovecraft Glitter glue across the unicorn horn and leave to dry. 8. Add a line of glitter glue around the ear to make it sparkle even more! 9. Trim the coloured felt if too long to finish. How adorable is this unicorn headband? The kids will have so much fun galloping around the house and acting out their imaginary fairy tales! How will you use our free template? Upload your kids craft to the inspiration area and #trimcraft when uploading to social media.